We found an okay tom hum (Chinese lobster) place in Charlotte, NC. It's not comparable to Santa Ana, California but it fixes the craving. 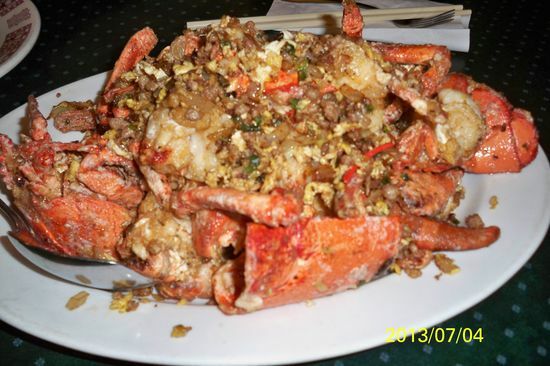 At Dim Sum Chinese Restaurant, you can order fresh lobsters and have them cooked in two styles: either ginger and scallions or Cantonese style. We picked the Cantonese style. It was kind of expensive for their lobsters though. They have one set price of $50.95 for a 2.5lb lobsters the day we came in. Eeek! I remember when I can get 12.99 a lb in Santa Ana but hey, we're in a different town.